The UK's and Europe's leading online retailer of door furniture and door handles. 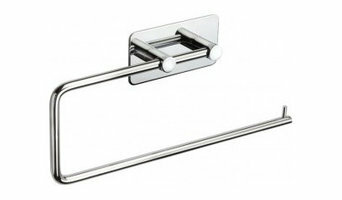 Handle King offer the largest selection of internal door handles, kitchen cupboard handles, chrome door handles and contemporary door handles on backplate, bathroom door locks, coat hooks, door stops and door hinges. In stock and ready for same day dispatch when ordered before 2pm Monday - Friday. At Centor, we believe the world is beautiful and everything we do is designed to connect you to the world outside. So you can enjoy inside-outside living without the compromises, Centor has combined doors, screens, shades and hardware as one to create Centor Integrated Doors. The innovative built-in screens and shades control sunlight, insects and privacy giving you unprecedented versatility all year round. Integrated Doors offer contemporary styling with locks and handles hidden from view. Thanks to Centor’s patent-pending hardware the doors move with fingertip operation. Available in Folding, French, Single and Sliding Door styles with a range of customisable options to choose from. 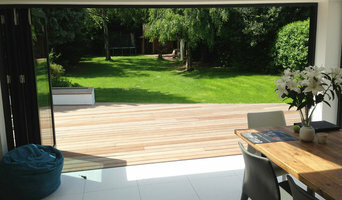 Lite Haus UK supply and install supreme-quality bi-fold doors. Our quality products are supplied by world class German supplier Schüco. We also source quality products from the reputable company Reynaers and offer our own Lite Style range of doors, windows and rooflights. Supplier of secure, strong and thermal efficient external composite doors. 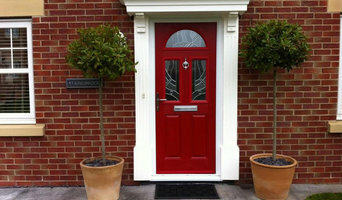 Offering a huge choice of door styles and colours along with a choice of modern and contemporary hardware. Delivered throughout the UK with fast lead times. We Custom Build the Best Doors You Can Find Anywhere in the World! Visit ItoDoors.com today! Clark Doors are professional carpenters specialising in door fitting and wood door installations in Worcester and throughout Worcestershire, Gloucestershire & Herefordshire. We both supply and fit wood doors from local and nationwide suppliers and our carpentry and joinery experience has seen us work on large construction projects fitting doors throughout properties through to bespoke domestic installations. We work with all types of wood doors both internal and external and also fit locks, glazing, handles and door accessories and furniture. We also fit fire and safety doors fit for houses of multiple occupancy. In business for more than 140 years and specialist Door Distributors for over 30 years, JB Kind Doors are one of the most well regarded internal and external door suppliers in the UK. JB Kind supply their timber doors through a network of builders merchants, door retailers and online partners. JB Kind’s doors are specified for housing developments, self build projects and house renovations across the UK. As well as their core stock of 60,000 + doors, JB Kind also supply bespoke doors via their flexible bespoke options service. Windoorcareuk uk’s FastFold bi folding door service is unsurpassed by its competitors. From quotation to installation we keep all our customers up to date with the progress of there order so that there projects can run ultra smooth just like our doors. Our team are fully qualified in this area and technical info is always on hand if required. All doors are rigorously checked at every manufacturing process to ensure your bi folding doors arrive to you in pristine condition. All our installers are vetted and are updated about product specification constantly, we work extremely closely with our suppliers ensuring high end products all of the time. Our after sales service is second to none offering a fully qualified service engineer and expert team available throughout the uk,which gives all our customers complete satisfaction and peace of mind. We are totally confident in our FastFold system, this with our technical excellence and after sales service makes our FastFold bifolding door system a must have in any home. Our made to measure doors look like standard internal doors but have a hidden solid steel core. They can be made with any exterior finish so are great for designers, architects and builders. UK police approved. We also manufacture external doors, safe room and panic room doors. A family owned business that has been designing and manufacturing cylinder based Master Key Systems for over 20 years. With years of experience Central Shutters and Doors Limited provide a professional service to all our customers. We provide a range of doors and shutters from Industrial shutter doors, shopfront security shutters, domestic garage door shutters and much more. As well as providing doors and shutters we also also offer a 24 hour emergency maintenance service. For more information on our products and services please contact us today. Renew Kitchen Doors are a longstanding family business with a strong customer service ethos and a passion for regenerating homes. You can be sure that a kitchen door replacement from us will be good quality and with our expert fitting, will provide a stylish and effective cheap kitchen for years to come. Did you know you can completely transform your kitchen for a fraction of the cost, just by keeping the existing layout and cabinets? With new accessories and kitchen doors for Birmingham, Sutton Coldfield, Tamworth, Walsall, Solihull, we can bring your kitchen back to life, or up to date without wasting the reusable structure. We make house numbers for your transom or fanlight that replicate original gold leaf numbers but at a fraction of the cost. Founded in 2014 in Birmingham, United Kingdom. G Decor has grown into designer home décor store for those seeking personal style touch for their home. We are committed to offering our customers’ signature products and unmatched service. Our buyers and designers travel the world to discover special products using natural materials, combining timeless skills with traditional designs. We have a commitment to passion, creativity, and entrepreneurship but our success lies at the heart of our customers. Our unique ceramic and glass door knobs and cupboard knobs collection is suitable for decorating chest of drawers, bedroom furniture, set of cupboards, dresser, kitchen furniture, and cabinets. Why would you need Birmingham, West Midlands door manufacturers for your home renovation? Front doors and external doors can act as personality stamps on the front of your house, especially if you live in a Victorian terrace, residential estate or block of flats, so you may want to invest some care and attention into how your door looks. Internal doors are also prominent features in any home (unless you believe in open-plan throughout), so if you’re planning a redesign or renovation, you might want to take a look at the colour and style of your doors to see if they will complement or clash with your new interior decor. If looking at all the different styles, materials, types and sizes of doors makes you feel like you’re lost in a labyrinth of locked doors, then don’t despair; Birmingham, West Midlands door manufacturers and door suppliers are available on Houzz to help design, build and install all sorts of doors. You can find photos of their previous work, reviews, recommendations and ratings from clients, and contact information so you can speak directly to any Birmingham door makers you find that you think can help with your project. You might find that your door suppliers or manufacturers can help with your window frames, garage doors or other contractor work, or they may be able to put you in touch with other professionals they work with regularly. Here are some related professionals and vendors to complement the work of doors: Cladding & Exterior Contractors, Garage Doors, Home Builders, Design & Build, Artists & Artisans. For external doors, it’s usually advisable to go for something durable and insulated. Composite door manufacturers in Birmingham, West Midlands will make doors from a number of materials, usually wood inside and a more protective outer layer, so they are versatile and well suited to being used as back or front doors. You can choose from stable doors, panel doors, half-glazed doors or doors with intricate stained glass panels, in all sorts of colours and stains, and, if well-fitted, your composite door will still stand up to any weather. It’s always advisable to talk to your local Birmingham, West Midlands door suppliers about the different materials, styles and types of doors on offer so they can tell you in more detail the advantages and suitability of all the doors you’re looking at. Door manufacturers can help with more than just your front door and internal doors - if you have a garden, there are a number of options for accessing it. Large glass doors can be really dramatic and bi-fold doors are a popular choice at the moment because they can completely disappear and open up a room to the outside. If you don’t quite have the budget to install bifold doors, patio doors or french doors can still bring in lots of light from your garden into your home. Talk to Birmingham, West Midlands door makers about what they think could work for your home renovation project. 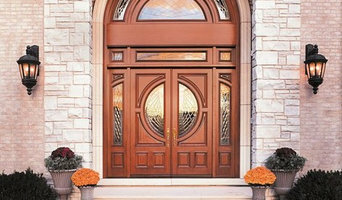 Why should I hire Birmingham, West Midlands door manufacturers or specialists? Find door suppliers and makers on Houzz. Look in the Professionals section of our website and search for Birmingham, West Midlands door manufacturers and suppliers. Read reviews, look at project photos and see how a door professional can help your Birmingham, West Midlands home improvement project.